I don’t usually follow lines of product – I’m more of a browser. Occasionally I see something I love and buy it or pin it for later. But, the Hearth and Hand Collection by Joanna Gains just keeps surprising me every season. Confession: I love Target! But I have to avoid the place because I go in for 1 thing and come out with 10 or 20… especially if a new Hearth and Hand collection is launched. 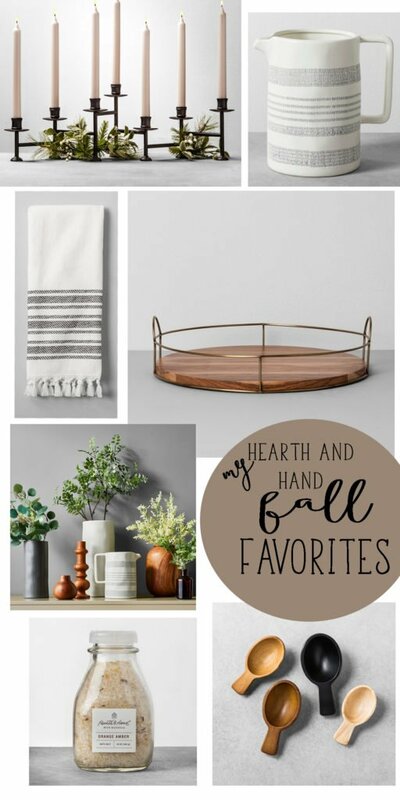 This year, I can’t help but love the Hearth and Hand Fall Collection. First up, these amber soap and lotion bottles. At first glance online I thought, heck no, I am not paying 16.99 for soap and lotion. But my resistance was futile! These bottles are glass and so cute. They can be refilled and used over and over again. I haven’t loved all their scents, as I am not much for the outdoor tree-ish smells. Fruity and clean scents appeal more to me, but I do really like the orange amber smell! It has just the right citrus kick to make my nose happy. You can get these bottles in clear as well. These bath salts are so stinking cute. I am always looking for textures and a way to add just a little bit of decor to the bathroom. These bath salts nailed it! I also got this cute toothbrush holder! If you lift up the bottom you can put jewelry in there. It will be safe until my kids figure it out. And I admit, I am obsessed with pitchers. My husband actually built me shelves to house all my pitchers I collect. So when I saw this new one, I knew it needed to be mine. Not only do I love to collect pitchers, they are such versatile decor. I can use them in the kitchen, sit them on a shelf or even fill them up with greenery! I don’t love candle holders… usually. But I just couldn’t put this candle holder down and walk away. It twists and straightens and was so different and unique, it too ended up in the basket. I loved this candle holder too… I may need to go back for it. Trays are fun because like pitchers, I can do so much with them. 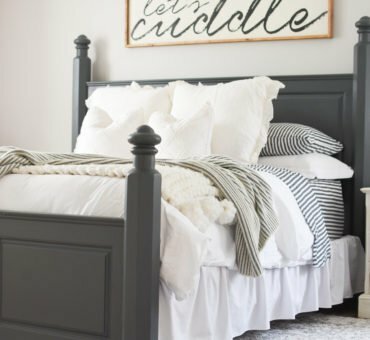 Options for bathroom, bedroom, kitchen etc. I love the wood bottom with the wire sides for a fun contrast. One of my favorite things about the Hearth and Hand fall collection is the greenery! I also picked up this cute greenery in the amber jar to add a little green to the bathroom. Here are a few of my other favorite greenery items as well. And I am really loving all the wood accents in this line. Here are a few of my favorites. 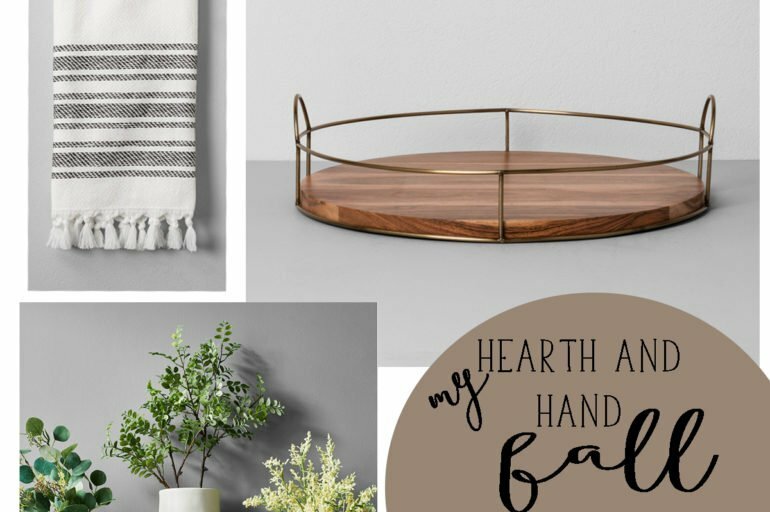 Hopefully this gives you a few helpful hints on home decor with this Hearth and Hand fall favorites. 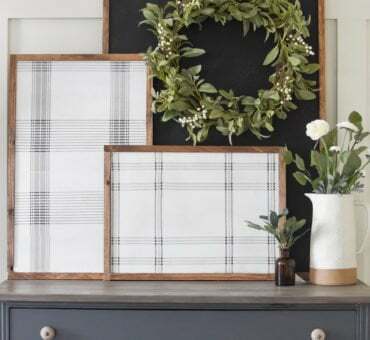 When you find something you love for your home decor, go for it. I feel like it is well worth it to spend money on something you love, versus just appeasing yourself with something you don’t like as much for economy purposes. Now get out there and get decorating! Adding Turquoise to Our Kitchen.